Many investors and agents depend on Your Castle's data. Why? It's the best (at least for free data) in the Denver real estate community. Their maps are no exception to the wonderful data that they provide. 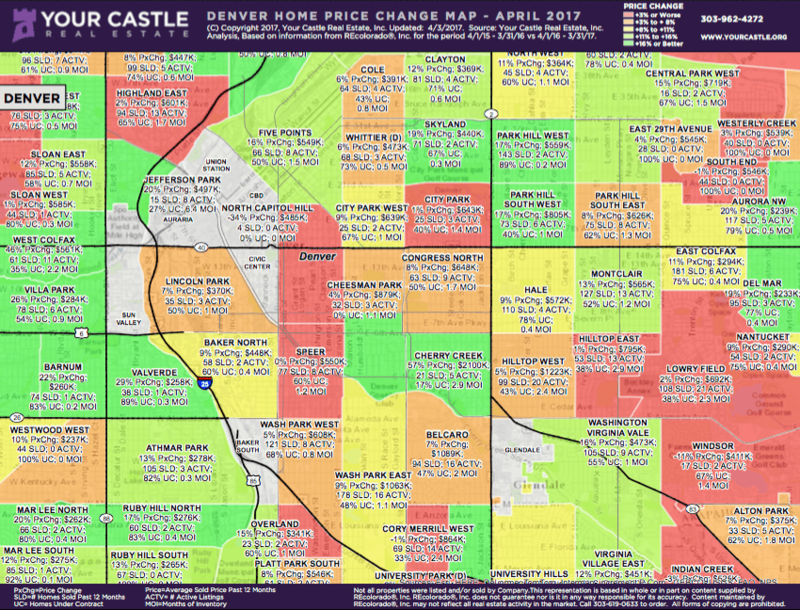 Below is an example of Your Castle's home price change map. It's at a lower resolution to make it web friendly. If you want a higher resolution one, then contact us. Your Castle publishes more than just the price change map. If you're looking for specific data or maps, please reach out to us.